Are you yacht crew or a seafarer seeking tax advice? 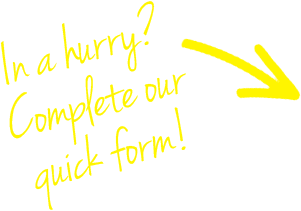 Complete our short form for a prompt response and world class tax advice. Get a simple, comprehensive and clear report detailing your full domestic and international tax position with our FREE UK Tax Check facility. It takes just a few minutes to complete and you'll get a definitive answer to all of your tax concerns. We fully understand seafarers and yacht crew, and appreciate they do not always meet mortgage lenders’ strict criteria. Our relationship with specialist lenders makes getting a mortgage a lot easier. Contact us today to learn how we can help you get the finance you need. Knowing your residency status will determine your full tax position and liabilities. Try our FREE Residency Test and get a definitive answer on your current status in the UK, Australia, New Zealand or Spain. It takes just a few moments to complete. Specialist advice for seafarers & UK yacht crew income tax return filing, accounting & mortgage lending. Marine Accounts was launched in response to a gap in the market providing yacht crew tax advice, income tax return preparation and mortgage products to seafarers working on super yachts. We pride ourselves in helping offshore yacht crew have the same onshore capabilities to those that are land based have, taking the complication and confusion out of the equation. Our offices in the United Kingdom, United States of America, Australia & New Zealand allow us to assist a wide range of crew with their tax affairs. Our mortgage team works directly with lenders who understand seafarers and their unique financial position. So why wait? Contact a member of our team today to find out why we are the fastest growing specialist yacht crew tax & mortgage firm in the industry. Do you qualify for Seafarers Earnings Deduction? If you're a UK tax resident employed aboard a ship operating outside of British waters, you may qualify for a huge reduction in tax liability known as Seafarers Earnings Deduction. 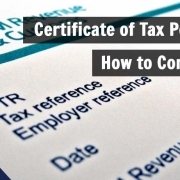 To make a valid claim, there's are a few criteria you need to fulfil that could save you potentially thousands in income tax that you're not obliged to pay. Take our FREE online SED test now and find out if you qualify. Are you Foreign Earned Income Exclusion (FEIE) eligible? 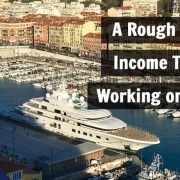 US citizens who work on yachts overseas can claim 100% tax relief on the first $102,100 earned (as of 2017) if they qualify under the Foreign Earned Income Exclusion (FEIE). The amount of income which tax relief can be claimed against increases annually with inflation, so there's never been a better time to check if you qualify. Try our FREE online FEIE test now and see if you're eligible for exemption. Missed the boat with your Tax Return?